Profigold PROV1205 5m High Speed HDMI cable with ethernet, ideal for 3DTV, WEB-TV and BD-Live / Blu Ray DVD. Profigold PROV1205 HDMI interconnect with up to 17Gbps bandwidth. High Speed HDMI interconnect with up to 17 Gbps bandwidth for extreme display performance. Follows the HDMI directives for superior 3D image resolution up to 4k x 2k. Audio Return Channel for High Definition 7.1 digital surround on your Home Cinema system. Ethernet channel to support WEB-TV and BD-Live on your Blu-ray player. 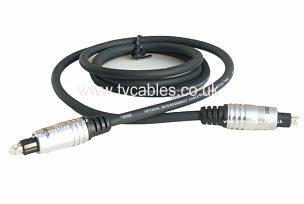 Silver Plated 99,996% Oxygen Free Copper conductors, for high speed full HD signal transmission. Supports Deep Color & x.v.ColorTM for most accurate colour balance. Multiple cable shielding, for maximum protector against interference. Pearlized chrome plated metal connector with metal inner case, for maximum reduction of interference.